Social networking is an easy and fun way for Native Americans to find each other and gain a sense of community. Several social media sites are dedicated to the life and culture of the people, empowering members to connect and communicate with one another online. Meet Native Americans is a dating site geared towards single Native Americans from the United States as well as foreign countries. Users can browse, search for and message others through the website. This site is part of the Online Connections dating network, a platform that connects members to related dating sites within the network. A free membership enables users to set up a basic profile, upload photos, and search and browse the site. A free membership also allows a user to send up to 30 "flirts" to anyone of interest. However, once a member completes his or her profile, or desires to send a message, he or she must upgrade to a Premium Membership, which will automatically renew each month until it is manually cancelled. To view pricing options, you must log into your account on the site. Native American Passions is a social networking and dating site that includes forums, groups, and email, as well as live chat and video chat. Members can also share photos. Although the site seems to focus predominately on singles and dating, it also has channels for other "passions" like books, movies and yoga. 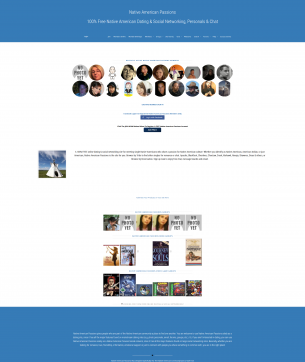 The site is part of the Passions Network dating network. Once a user joins Native American Passions, he or she has the option to add other Passions Network sites to an account. There is no fee to join, but there is a $4.95 monthly charge to upgrade to "Network Wide Access" if you want to access multiple Passions Network sites. Native American Dating Service is a social network that allows Native Americans and people who share a passion for the culture to browse personals and member feeds, instant message, keep dating diaries, and more. This site boasts over two million members. A free membership allows a user to create a profile and add a photo, send "winks,"and search for people. The site will also notify a user if he or she receives a "wink" or message from another user. However, you must upgrade to a full membership, to cost of which is revealed after signing up for a free account, in order to actually connect and communicate with other members. Native American Peoples is a family-oriented social network dedicated to Native American culture. Created by and for Native Americans, the site enables members to connect and share with others. Members can create their own pages, share photos, post blogs and videos, and chat with other members. The site does not have a membership fee, but does accept donations. Users must be signed in to access any information. 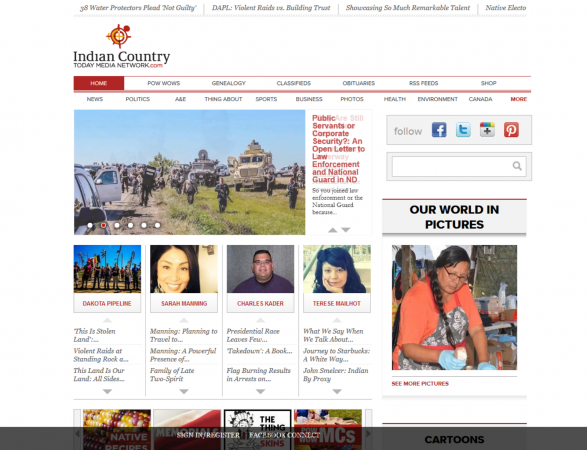 The Indian Country Today Media Network, an international website dedicated to Native American culture, offers news, alerts and This Week from Indian Country Today, a weekly e-newsletter. The site also offers a plethora of resources, including shopping, a list of pow wows, information on education and schools, veterans' resources, classifieds, job opportunities, and more. There is no fee to browse and read the site, but an account is required to join the community and post comments on the site. Registration and membership are free. Native Spirits Tribal Community is a social network created by and for Native Americans. The award-winning site, with over 6,000 members, claims to be the first and only authentic site of its type. Users can post blogs, music, photos and videos, as well as participate in numerous discussion boards and groups. The social network is free but an account is required to browse or post any information. Users must be signed in to access and post information on the boards. Finding the right social network is a fabulous way to meet people and celebrate all that Native American life and culture has to offer. As with all social networking, it is always important to beware of online dangers and take proper cautions to protect yourself and your personal information.